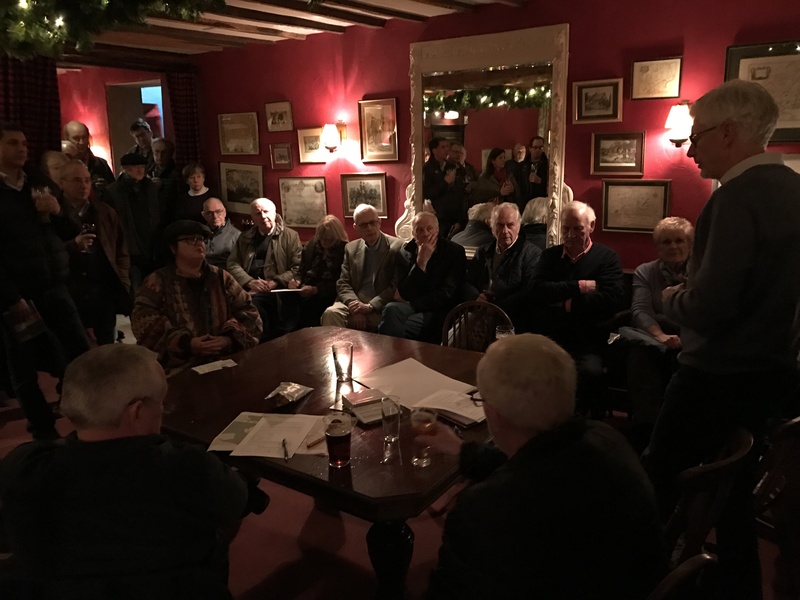 Over thirty people turned out at The Crown Inn on a freezing night to discuss bringing Village Networks fast broadband to Pishill and Stonor. Paul Firth and Roger Carey from Village Networks explained how they could bring wireless broadband to houses in Pishill by putting a small antenna up on the ridge in the vineyard. It was a complex install – involving laying some fibre and power to the antenna that would cost £9,000. If the community could find this money, then subject to survey, residents could get up to 30Mb/s broadband at the same price as BTInfinity. The service could be running within weeks. More details on the service are here. Someone from the community was needed to co-ordinate fund raising – there was much discussion afterwards as to who that might be. Connect8 would be happy to be a vehicle to hold money, if someone was to come forward to organise on the ground. In Stonor the service is already running from an antenna in Stonor deer park and a node will be installed on the barn at the Henley end of the village shortly. The first customer to be connected from White Pond Farm was at the meeting and reported a good steady service at 29Mb/s not affected even by recent severe weather. There is a good window for Pishill right now, VN are waiting to get an antenna on the police masts at Britwell Hill (the signal for Pishill will come from Stonor to an antenna, not Britwell) . After that is turned on, VN will be busy connecting other communities. To enquire or sign up use the contact details here. There’s a detailed set of questions and answers here.